We’re a married couple that loves to adventure together! From sunny San Diego, to the quaint east coast of Rhode Island, to the bustling city of Seattle, join us on our adventure as we share our journey through marriage, inventive date nights, and explorations of the Pacific North West life! We believe that dating after the wedding bells is as much a priority as dating before those rings were slipped on your fingers. Why? Because time develops intimacy. Committing to spending intentional time together with consistent dates nights will transform your marriage. We want to help you plan your date nights, bring the intimacy back into your marriage, or make sure it never leaves in the first place! Take the stress out of date night planning and sign up for our newsletter. Get free downloadable marriage resources, creative date night ideas, local eatery discoveries, and recipes for two delivered to your inbox. There’s a lot to read here, so here’s our top 10 posts that our readers can’t get enough of. From our very first night out together, we have had a date night once a week. Sunshine or rain, busy schedule or not, sickness or health, we have always set aside time for each other. You can imagine after a while, we started to get bored with the same old dinner and movies and we took date night less serious because of the monotony. Without the recharge on romance, marital spats became more frequent than we liked. We realized that for us, we needed to invest in our marriage with intentional time and so our journey began. We turned to Pinterest only find silly lists of ideas that looked like someone put together in five minutes and we could never picture ourselves doing. As we started getting creative with date nights, fellow couples that were dating or married became inspired with our endless ideas and determination to keep the romance alive. We also made a move from sunny San Diego, California to the tiny, big state of Rhode Island where we encountered new challenges like getting to know great date spots in a new area and yes, even experiencing a date night in a blizzard. Welcome to New England! Though we no longer live in the New England region, our story and adventure continues as we settle into life in the beautiful city of Seattle. Along with that will come challenges of yet another new location and even first time home ownership. Yeeha! Because so many of our close friends were inspired by our intentional dating through marriage, we decided to share our creativity with anyone that’s fed up with same old dinner and movies or corny, uninventive Pinterest lists. 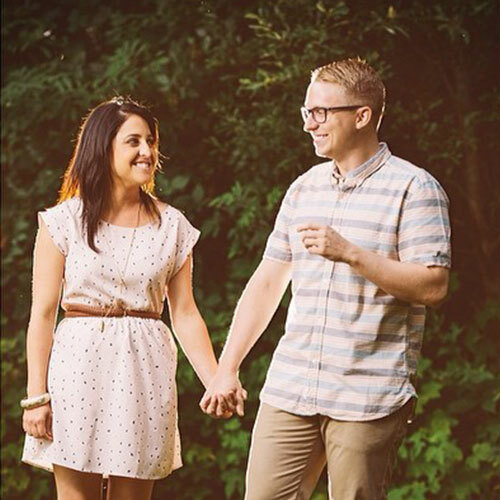 We love sharing in-depth, creative date ideas and on a personal level, sharing our experience as we travel through the uncharted waters of marriage and our adventure in the great Pacific North West. Want to know more about us? Here are 21 fun facts about us.